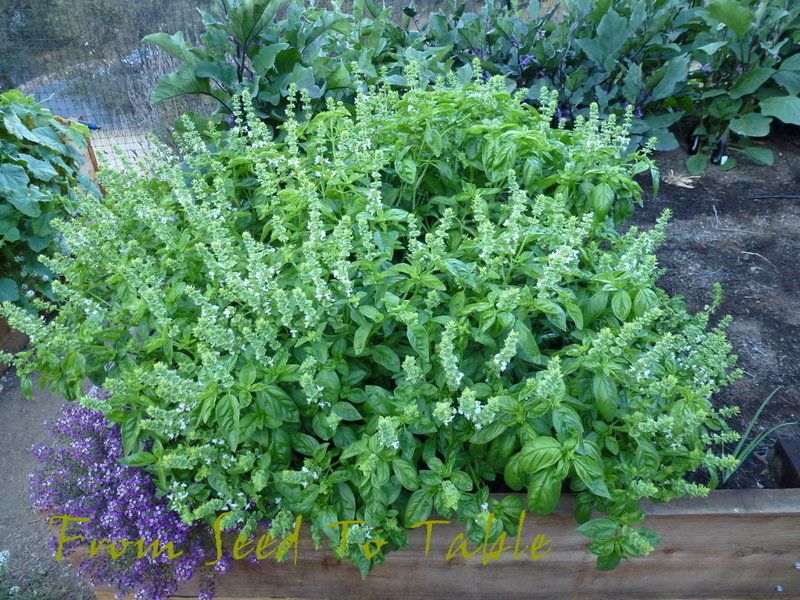 Also my favorite basil and the only one I plant. I just planted some more seedlings in my greenhouse, which is where I have to grow it here in Montana. I freeze a lot. I actually put the leaves in boiling water for a minute, then shock them in cold water, this process keeps the pesto bright green. Then I blend in the food processor with a tiny bit of olive oil and salt and freeze. I add the cheese, nuts, garlic and more salt when I make it for serving later. A real treat in the middle of Winter! 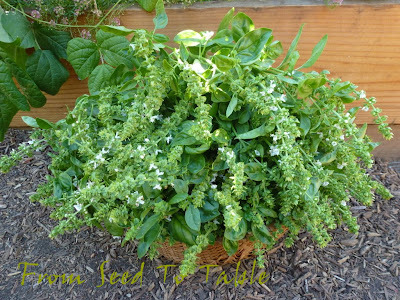 I'll have to look for this next year...I didn't plant as much basil this year, in fact only have it in 2 pots o the deck with the rest of the herbs. I always dry it, as I love it in so many things. I make pesto too. 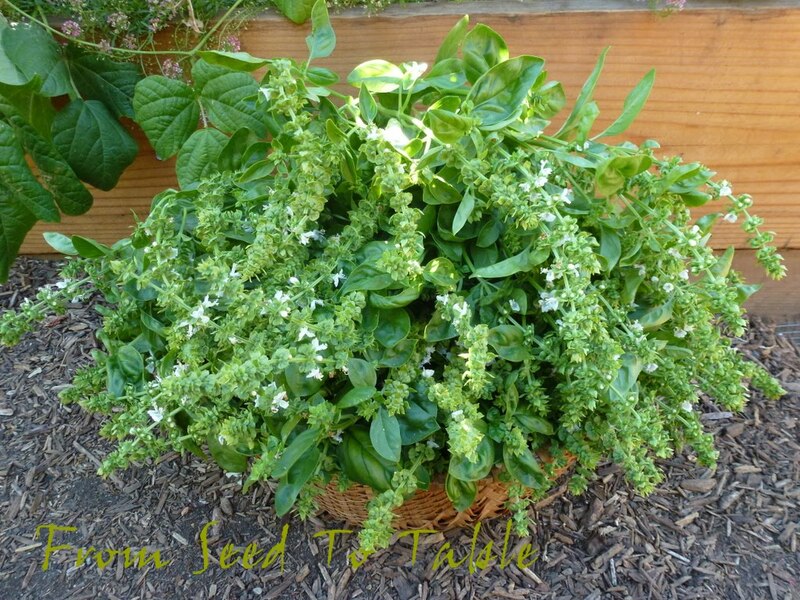 I cut back on the basil this year because I still have about 4 pounds of dried basil i the pantry, lol. It looks a lot like the one I grow but then many look pretty similar don't they. My basil plants finally gave up this week so I'm looking at yours very jealously. I've never found basil changes taste much when it flowers but perhaps I too have been lucky about the varieties I've grown. 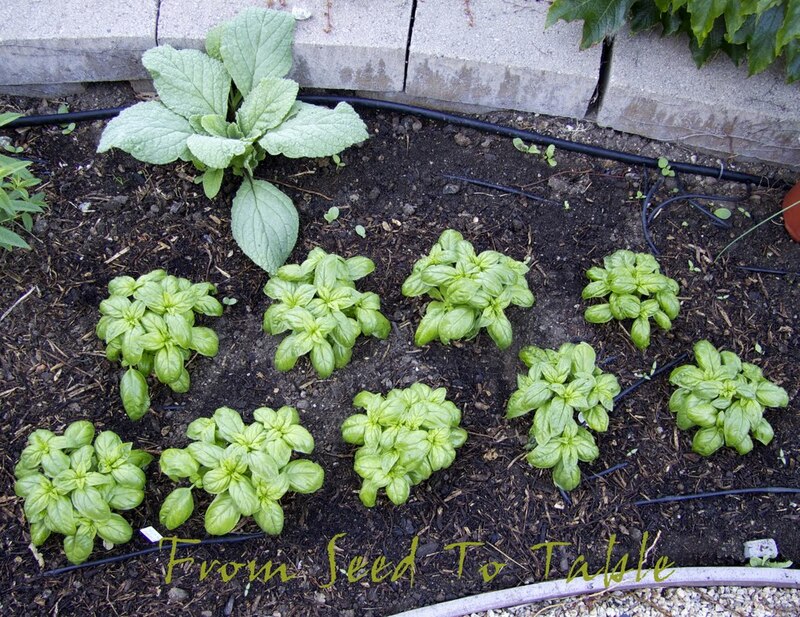 I've always grown sweet basil. I keep thinking some day I ought to try a few varieties side by side to see which is the best tasting to me. What a vibrant looking basil! I sowed some basil seeds this year, but my seedlings were destroyed by rain unfortunately. Thanks for this meditation on what would seem a quotidian choice of herb! I'm always tempted by the other variety of basils being offered at the farmers' market, but they've never satisfied in the way that a classic basil does. 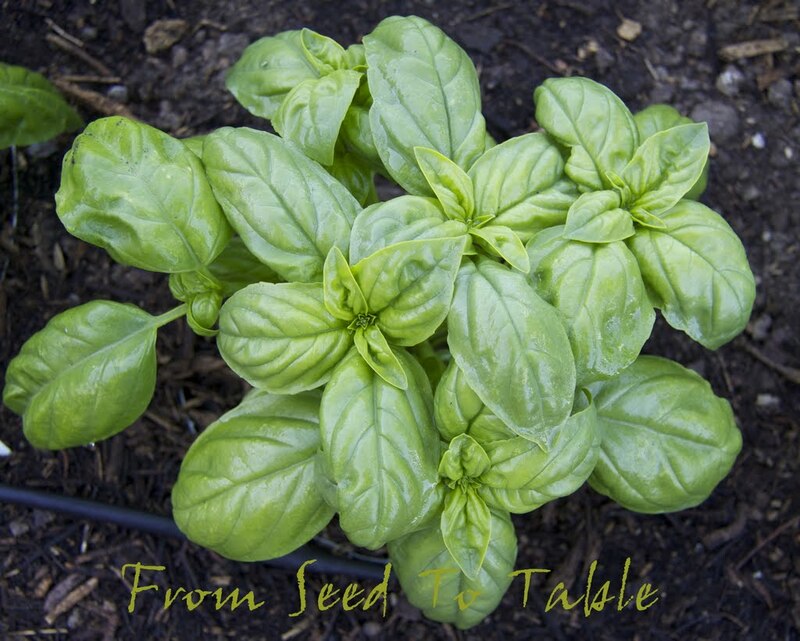 Where do you get your seeds, and is does the Genovese go by another name? Would Franchi's Italiano Classico be the same thing? Wow! That is really great looking basil. Your description of it makes me want to give this one a try next year. My basil is growing in the greenhouse and recently endured some kind of bug attack. I sprayed it with some insecticidal soap and it seems to be bouncing back. It looks kind of rough though. I've been growing this one for years too. It is amazing how different the strains of 'Genova' basils can smell and taste. This is one is so distinctive. And I do dry it, and it does well when fresh basil isn't available.